Two of the AFC's leading lights clash in the first action of Week 11 and both Pittsburgh and Tennessee will be delighted to be heading into a key part of the season having won their last four games. While they both lead their respective divisions, the lack of quality that the Steelers face in the AFC North suggests they are in a stronger position. After their clash with the Titans, they have just one game remaining against a team with a winning record. That is a Week 15 meeting with New England which could decide who gains the conference's number-one seeding. Yet there is a danger that the looming showdown could become a distraction and Tennessee, under the direction of quarterback Marcus Mariota, should jump upon any lack of focus. Mike Tomlin's side could have been accused of that in Indianapolis on Sunday when they needed a fourth-quarter rally to claim a three-point win having been 17-9 behind. The Titans' last three victories have all come against AFC North opposition, but they needed overtime to see off winless Cleveland before beating Baltimore by three points and Cincinnati by four after another struggle on Sunday. The AFC South leaders are looking to secure their first playoff berth for nine years and will fancy themselves to be involved in another tight tussle. A low-scoring match is anticipated - the points total has gone under the line in each of the last 11 occasions that the Steelers have been favoured by seven or more points - and after Pittsburgh's shaky performance against the Colts, the value looks to be in backing the underdogs. Cornerback Joe Haden is out with a broken leg. Safety Mike Mitchell (ankle) and linebacker James Harrison (back) were limited in practice earlier in the week, while wide receiver Martavis Bryant has been suffering with illness. 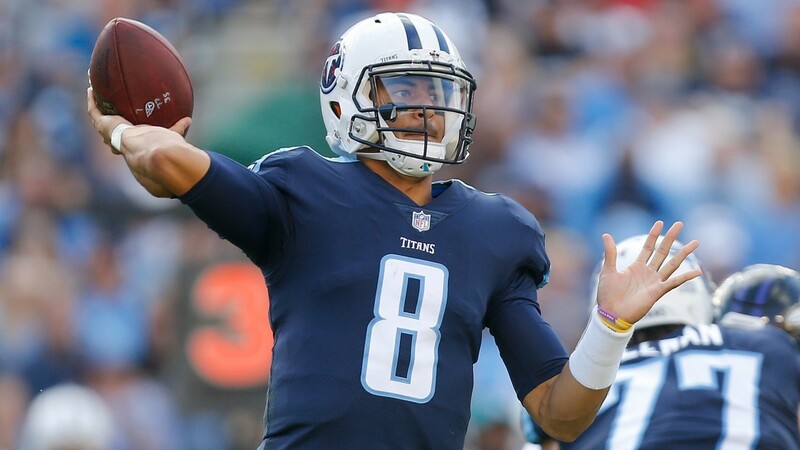 Quarterback Marcus Mariota has recovered from an ankle problem and the Titans head into the game with a clean bill of health. The points total has gone under the line in eight of Pittsburgh's last nine games.